We're getting set for more wild adventures this June! Last year we had a great Summer discovering & exploring all things wild around our neighbourhood while taking part in 30 Days Wild. Why not join us this year? The idea behind The Wildlife Trusts' 30 Days Wild is to encourage everyone to step outside & experience what nature has to offer every day for a month. It could be a simple activity such as feeling the grass beneath your feet, or listening to the birds, or you could head off on a nature ramble, woodland walk, or beach trip. The space, place, time & activity is your choice. With so many wild spaces just waiting to be discovered, all you need to do is choose which space is calling you. 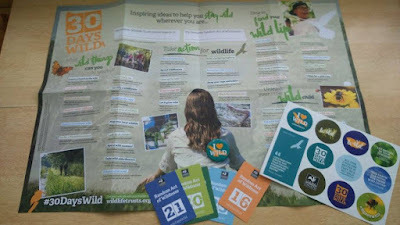 To join in 30 Wild Days sign up here, & you'll receive a fabulous wall chart so you can keep track of all your adventures, & on the back you'll find oodles of activity suggestions for both adults & children. You'll also receive a badge, stickers & some Random Acts of Wildness cards each of which have activities to share. It's been well documented that spending time in a natural environment has many benefits for our mental wellbeing, & physical health. 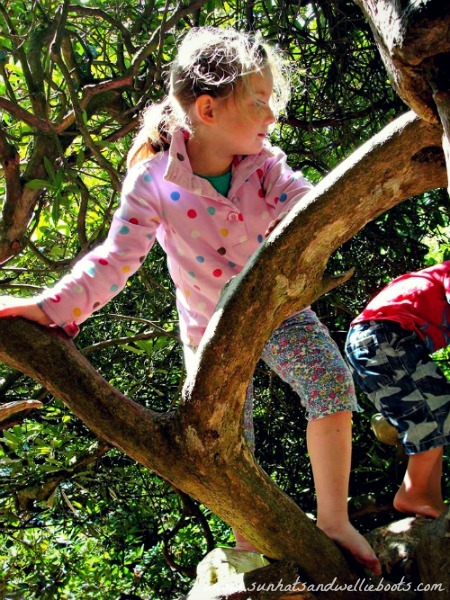 A recent report "Every Child Wild" by The Wildlife Trusts indicates that today's children are spending less time outdoors than their parents did, with limited experiences of nature & wildlife. Finding time to connect with nature is easier than you might think. 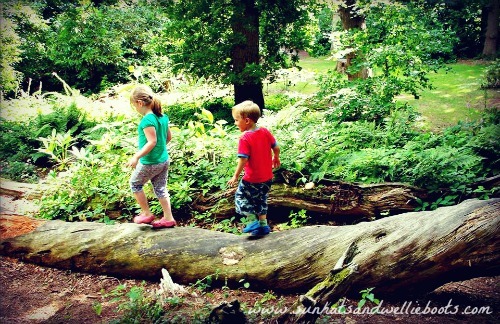 Often wild spaces are nearer than we imagine, & if you go for a walk around your neighbourhood, walk to school or work I bet you'll discover nature where you'd never expect it, so why not join in with 30 Days Wild, choose 30 activities that you could share with your family, & see what happens when you add those nature filled moments to your days. We'll be posting about our 30 Days Wild throughout June & sharing ideas & nature activities here as well as on Facebook, Twitter & Instagram. 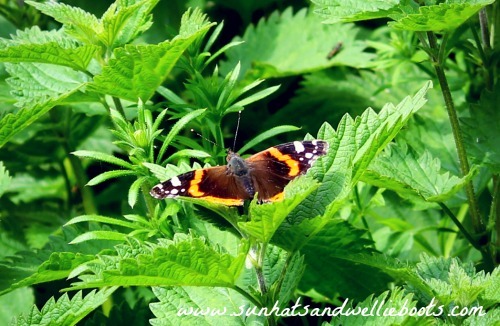 Whatever you have planned for June I hope you have a little time to explore what nature has to offer you & your family. We'd love to hear about what you find.